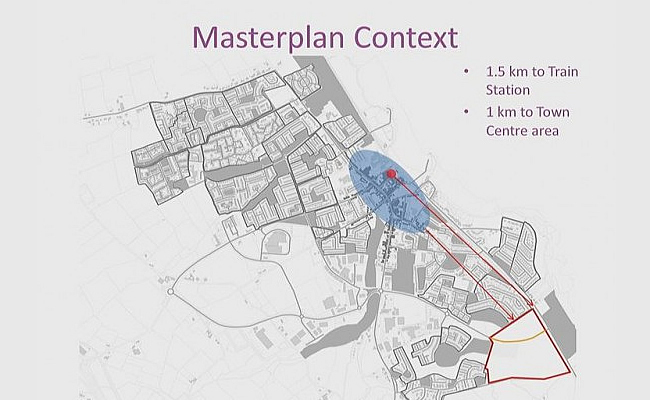 » Castlelands Masterplan – A 6 storey high-density development! 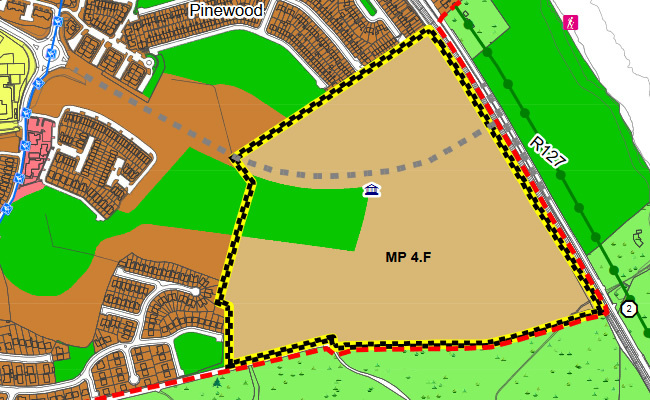 Castlelands Masterplan – A 6 storey high-density development! 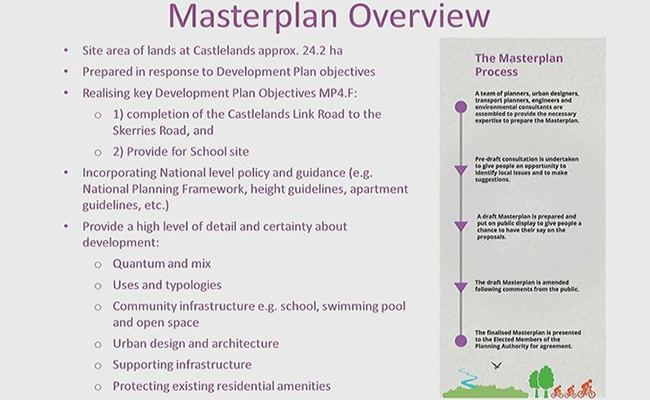 REMINDER: The Castlelands Masterplan will be up for public consultation from 7th May to 28th May and the council will then review it for approval at the July council meeting. This is a chance for residents to have their say and avoid the mistakes of the past. Check back later for details on the public consultation. 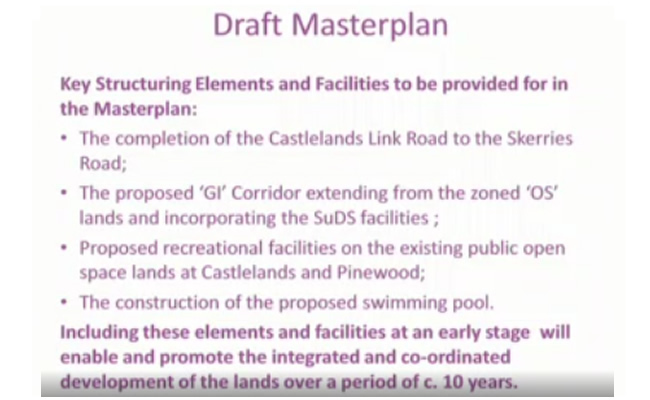 11-Apr-19: Today at the Fingal County Council meeting the Castlelands Masterplan was presented. 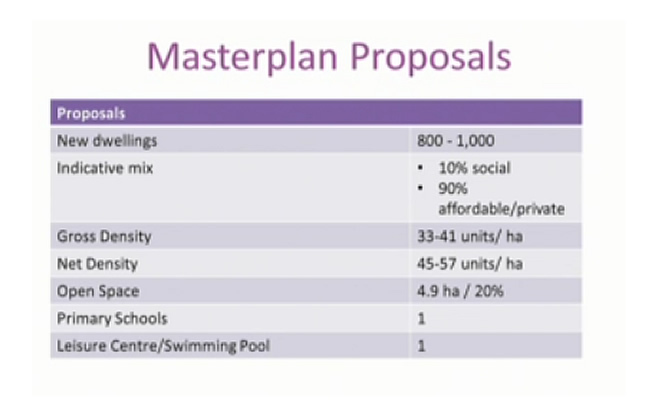 The plan aims to introduce another 1,000 houses in 24.2 hectare site along with swimming pool and additional school. 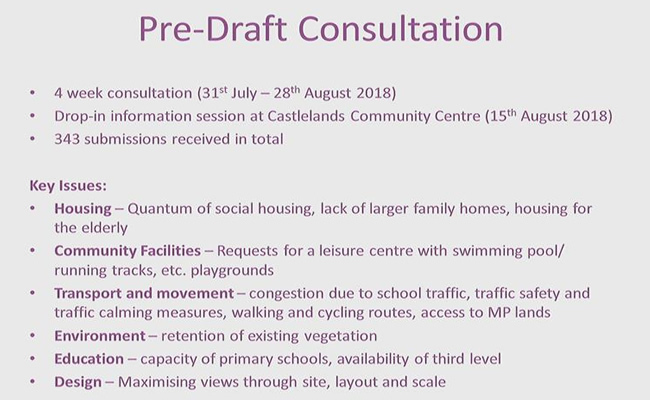 This has the potential to move over 4,000 more residents to the area (based on household sizes of 2 adults and 2 children) not including the additional traffic that a swimming pool will bring. 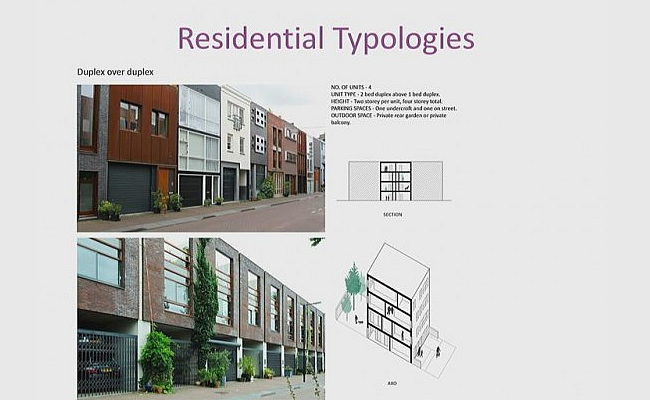 The net density is up to 57 houses per hectare with proposed building up to 6 stories high. 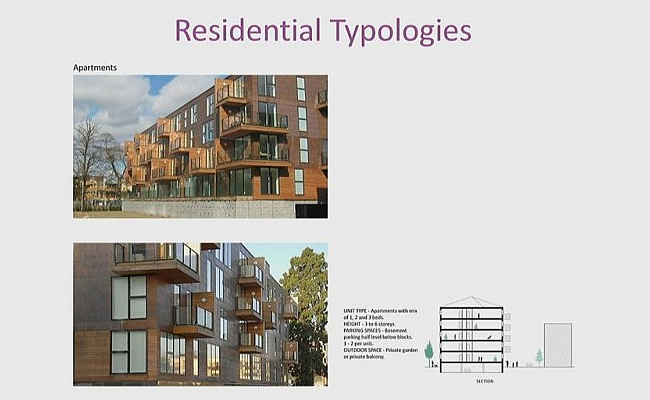 To put this into context Fancourt Heights and Hampton Cover represent 20 houses per hectare. 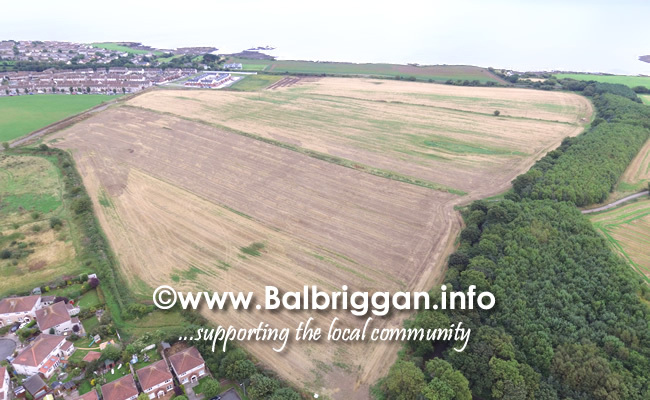 The plan includes the completion of the Castlelands link road to the Skerries road will do little to alleviate the traffic in fact it will serve to increase the levels of traffic at the church roundabout. 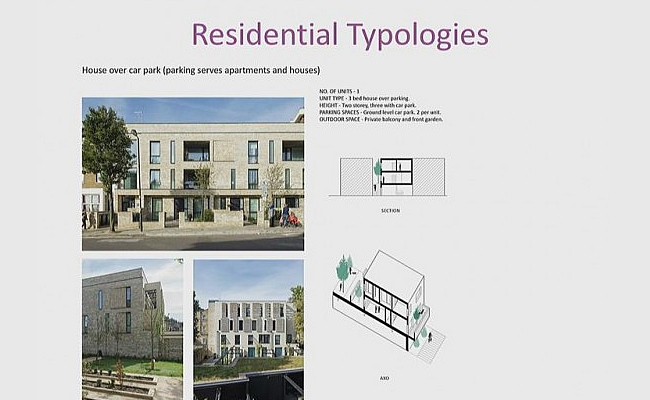 The plan states that there will be 10% social housing and 90% private however with many housing agencies such as Respond (over 300 of these agencies exist!) buying up houses in bulk there is no way to cap the numbers that end up out of reach of the ordinary working person who are looking to purchase a home. 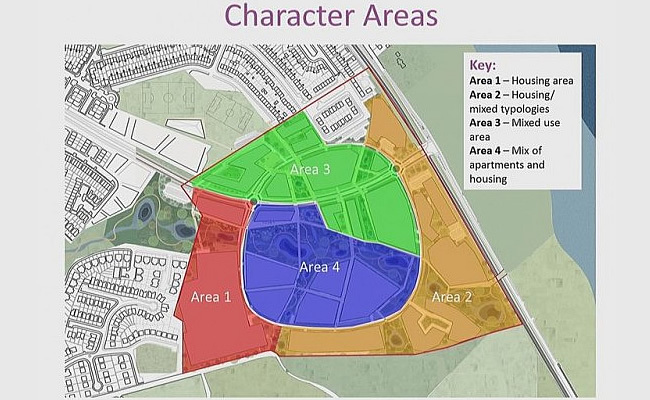 With this plan it is important that everyone in the town has their say as with proper planning there is the opportunity not to make mistakes of the past. When history is ignored mistakes of the past are bound to be repeated. 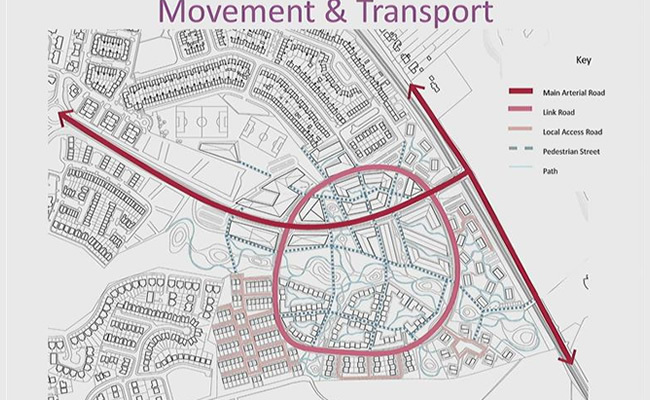 This plan doesn’t appear to take into consideration the existing houses, roads, schools and infrastructure and only aims to cram people into an area which is already struggling to cope. 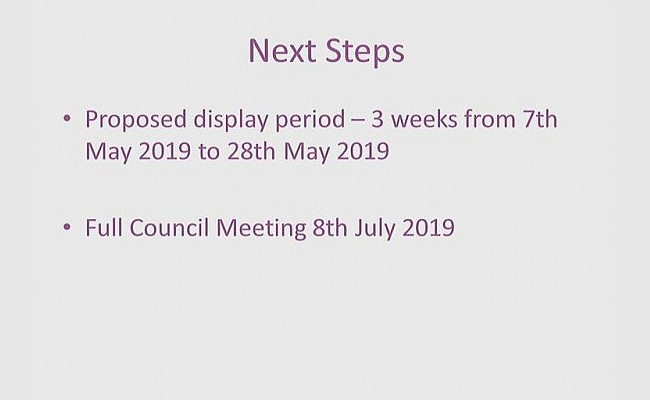 The plan will be up for public consultation from 7th May to 28th May and the council will then review it for approval at the July council meeting. 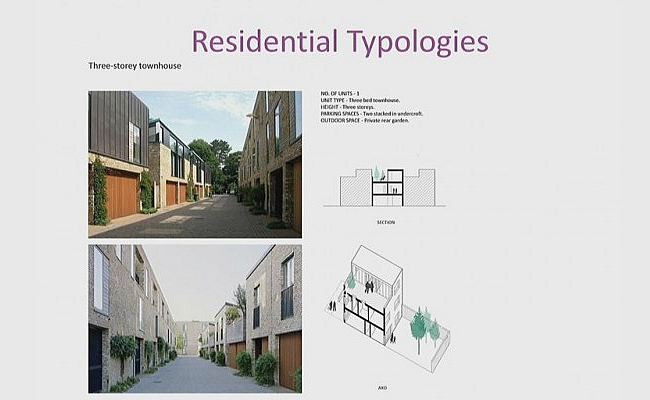 Below are some slides from the meeting with more to follow…..